There comes a moment in every cancer survivors life when we realize our hair has returned. My moment was this morning. After answering emails, continuing the laundry, and catching up on Real Housewives (a guilty pleasure … forgive me), I stepped into the shower. Over the course of these past two years, there are more times than I can recall when I’ve been without hair, and a few fleeting occasions when my locks have made a debut. This past season has been spent as hairless as a naked mole rat. Therefore, showers are quick. It never ceases to amaze my husband how speedily I can take a shower. You’d think we were on water rations or something. And it’s the truth. I can get in and out of a shower within 5 minutes. I have no legs to shave, no hair to shampoo and condition. My sole duty is to get clean. I’d be lying to say I didn’t enjoy not having to time my morning ritual around how long my shower will take. Oh, the benefits of being follicularly challenged! Hair is a silly little thing we often take for granted. Women are constantly irritated with their manes — fussing, fixing and complaining that it’s not long enough, not short enough, not curly enough, or not straight enough. We buy the latest and greatest products to manipulate it to do things only God Himself could accomplish. We specifically tell our stylists we only want our dead-ends trimmed, and no length to be removed. We try new styles, new cuts, and experiment with how much volume we can achieve. We wax our bodies from head to toe — plucking, primping, and priming our skin to be as smooth as possible. No matter what woman I talk to, we all have a never-ending love-hate relationship with our tresses. Every time I’ve lost my hair has been different. My first season through treatment two years ago took everything but my eyebrows and eyelashes. 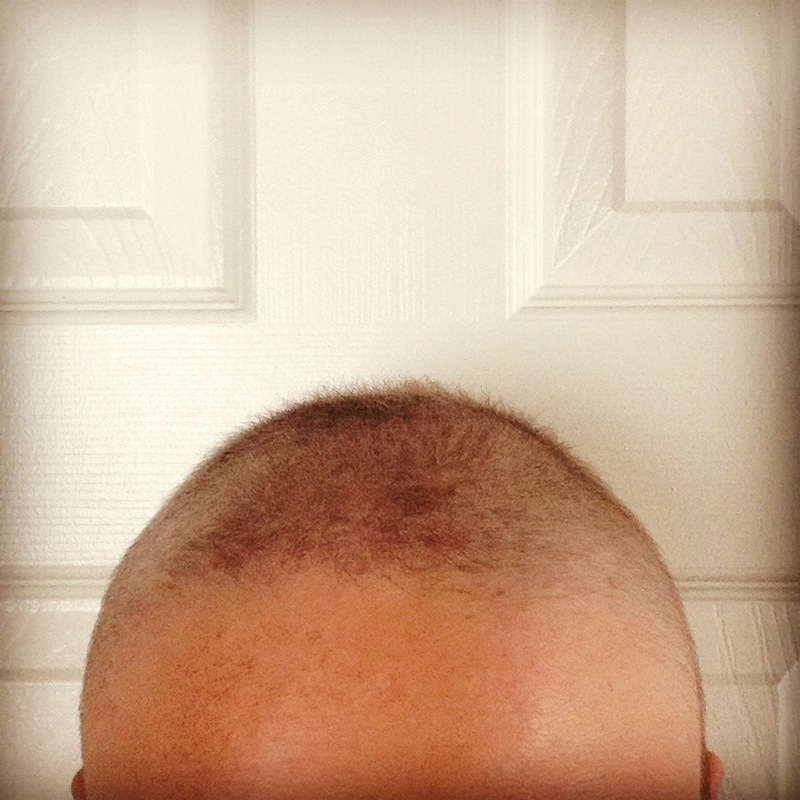 My second season, I lost nearly everything right away, but still managed to have two spots on my scalp that maintained about twenty hairs each. As aforementioned, this season I remind myself of a naked mole rat. Bald, pale, and if not for my hot flashes, cold. Because of the changing of each season, I’m never quite sure what to expect my locks to do. Will they all grow back in at the same time? Will my hair be thicker and more luxurious? Will its color and texture change? The hair on my head has slowly but surely begun to make its debut. About three weeks ago, I noticed a little garden growing up there. Tiny sprouts had begun to make their voyage above the surface, and I was elated. Hair continues to be a reminder that I am no longer in treatment, and that brings me a happiness that I can’t even begin to describe. The second I spot newly established tresses, I make certain that I shampoo and condition it every single day. It’s hair. No matter that it’s one tenth of an inch long, it deserves to be treated as though it reaches my shoulders. I can officially say my showers have expanded from around five minutes to nearly seven. After discovering what my underarms had been hiding from me, I began to hunt for more. This hair hunting expedition had me laughing to myself, alone in my bathroom. 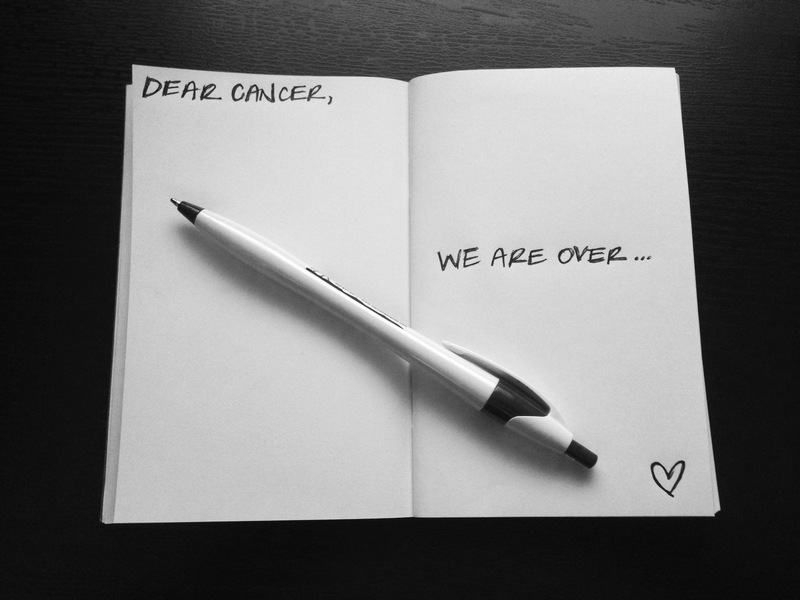 The joy that came from finding more and more pooled up in me, until it overwhelmed my thoughts with the acknowledgement, that I, once again am cancer-free. I looked closely at my face and noticed itty bitty strands making an appearance at my brow line. My lashes have even joined the party and are tap dancing across the edges of my eyelids. Soon, I was touching my legs, inspecting every square inch, gleefully observing hundreds of hairs revealing themselves to me. I officially have hair again. It’s not much, but it’s here. It’s back. And it has returned with a vengeance. I remember the first time my hair reappeared. My poor, poor legs. It was as if I was a newly pubescent teenager, all over again. Nicks and scratches up and down each leg, and quite a few bandaids to mask my amateur attempt at shaving. I’m excited to brush up on my shaving skills once again, and pretty soon, I’ll go from novice to professional. I’m praying this hair is here to stay, and that it will forever take the place of the one who tried to steal it away. I suppose it’s time to stock up on razors. I anticipate my shower to be much longer tomorrow, as I’ve got some shaving to do. For today, though, I will enjoy these beautiful reminders that I am alive and cancer-free. I’m breaking up with you. There are no negotiations that can be made. No argument strong enough, no comeback able to change my mind. This is the end. I’m over you. To be honest, I never liked you in the first place. Our two-year relationship has been tumultuous, to say the least. We’ve had ups and downs. Breakups and forced reconciliation. There have been moments where no matter how hard I pushed you out of my life, you came slithering back in with your malicious intent. No matter how many locked doors and concrete walls I built, you somehow found your way back to me. You came barging into my life, with no regard for myself or anyone around me. I didn’t have a choice. I was swiftly blindsided as you swept through me. Without a second to think, I was forced, pushed, and manipulated. You stole my most precious dreams. You trampled on my plans. You never cared. You’ve always been a narcissistic, sneaky, and reckless coward. This arrangement has been toxic from the start. It hasn’t been good for either of us. From the second you entered my world, I’ve been mastering ways to get rid of you. I’ve gathered a team so great and powerful, the realm of our advances is mightier than your imagination. And likewise, you have conjured up tactical attacks on me. Let’s take a look at the facts. I’ve invited poison to flow through my veins, hunting you down with every curve of my vascularity. I’ve laid alone in a room while fiery lasers aim their beams on you, shooting up everything in the place you want to call home. I have been sliced open over and over, physically removing you from the premises. You’ve even gained a few souvenirs, organs that I so desperately wanted to use. Yet, it was never enough. You still tried to slink back in. You spineless jerk. You are selfish. You’re ego is so large, it infects the world. You are shameless and careless. All you’ve given me is grief, pain, and suffering. I’m not even your one and only. You’re a cheat. You force your way into the lives of thousands of other innocent victims. Yet, none of us want you. That must be lonely. At what point will you get the hint? The three times that you have barged into my life, you’ve seemed to have forgotten that someone already lives here. This residence is already claimed. There is no room for you in this inn. You tiptoe your way into dark closets and hide out, waiting for the perfect opportunity to settle in. Yet, don’t you realize you are always found? This is not your average game of hide and seek. Shoo fly, don’t bother me. Though you have proven yourself strong and determined, you’re not smart. You repeat your strategies, only changing the location of attack. All brawn and no brain. Silly. Immature. A bully lacking care and thought. Don’t you know that I’ve got eyes on every inch of me? You’ll never get by unnoticed. You’ll never survive with me. You have always been unwelcome, however, through your contrived presence, I have grown. I’ve gleaned experience and my character has developed. Though I abhor you, these past two years have taught me so much — about the world I live in. About relationships. About loyalty, trust, and security. About faith, joy, and never-ending hope. Because of you, I hold my loved ones closer. Because of you, I pray, believe, and act more intently. Because of you, I am stronger. Because of you, “perseverance” and “determination” have taken on deeper meanings. Because of you, I have discovered my purpose in life. This relationship doesn’t work. We’re over. I don’t appreciate you. You don’t appreciate me. We’re toxic for one another. Your plan has backfired righteously. Your malevolent intentions have now transformed into benevolent outcomes. You simply cannot win, because I will not lose. And, have you forgotten? I’m already married. Two is company … three’s a crowd. Don’t come crawling back this time. Be gone for good. I’ve lost your number, after all. Scans are routine in my life now. In fact, I can’t remember the days when I didn’t have to lay in some form of a machine that took pictures of my internal happenings. 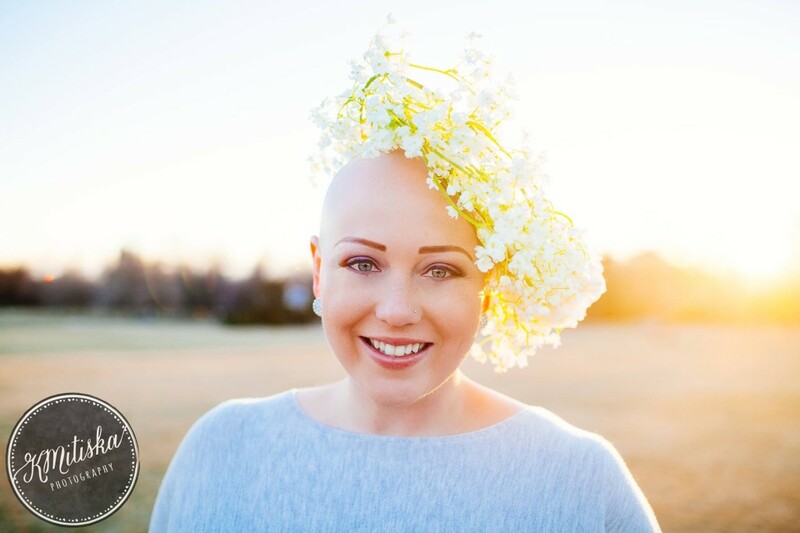 When I’m not in treatment, I receive a CT scan every three months to ensure that my body is free and clear of cancer. When I’m actively fighting this disease, I must wait until the completion of treatment to get another scan. Since I recently finished my latest adventures in chemotherapy, it was that time again. About two weeks ago, I laid on a tiny hard table for the umpteenth time as a fast and loud spinning donut somehow created an image of the inside of my body. Typically, my phone rings anywhere from one day to an entire week after my scan. In terms of a waiting period, that window is very large. There are times when I receive results within hours, and other times where the days crawl by and I don’t hear back for a week. I’ve often referred to the anxiety that comes from awaiting scan results as scanxiety; However, the more scans and tests I have done, the better I am at not worrying over the results. I’ve learned that worrying doesn’t accomplish anything, and it will never change any result I may receive. Worrying is a waste of time, emotion, and energy. Worrying is pointless. These past two years have been a trial of great magnitude. And while I’ve experienced a depth of grief and loss I never could have imagined and wouldn’t dream of wishing on anyone, there have been numerous blessings dispersed along the way. Experience is our most effective teaching tool, and among the many lessons I’ve learned throughout my voyage, surrender has been the biggest one of all. Not only surrendering my plans and dreams, but also surrendering my thoughts and emotions. Understanding the true meaning of surrender has been one of the biggest gifts I’ve gained in this series of unfortunate events. I am not one to surrender. I am a Type-A personality. I am a planner, an organizer, a keep-her-ducks-in-a-row woman. I have a tangible schedule, in which I physically write and record the many daily, weekly, and monthly events going on in the ever-adventurous life of the Madsens. When Matt and I were first married almost four years ago, we had our five-year plan set in stone. We knew when we were going to have children, where and when we would move, and how we would achieve our short and long-term goals. Everything was planned. We had it under control. Little did we know what our first five years would actually bring. Though the majority of our plans have been wiped off the canvas of our life, new creations have replaced the old. Losing what we had dreamt about for so long was devastating. We continue to grieve the loss of what we imagined our life to be. However, at some point in this journey, we were given a choice. Do we grasp for remnants of what we had desperately wanted for our life, or do we instead surrender our plans, dreams, hopes, and goals, and place the control in God’s hands? Making the decision to choose the latter has forever changed our perspective. Giving the reigns to someone far more capable of directing our lives has removed burden and responsibility. After all, if I was in full control of my life, I know I would screw it up righteously. Worry is an emotion. A verb. A tangled web of feelings and actions. Worry is an enemy that lures us into a trap and once we are overtaken, it takes hold of our every thought. It tempts us with pity-parties that seem much more fun than they turn out to be. It sneaks around every long-awaited result, and silently slips into our minds if we don’t keep a relentless guard. Yet, as with all temptations, we are called to surrender our worry to God. Surrendering worry leads to freedom. Though I wish I could say that I surrender all of my worries without fail, it’s not true. I slip up. I let my guard down, and worry slips into my mind, corrupting everything within me. Fortunately for us, the world we live in offers us many opportunities to practice our ability to surrender. We will always face troubles and areas where worry could easily be a chosen response. One of the regular opportunities that I have to practice my ability to surrender my worries occurs every three months. Before, during, and after each scan I am reminded that in order to live freely, I must surrender my worries of the impending results. I’ve learned that no matter how much I worry, I cannot control the outcome of my scans. Worrying has proven time and time again to have zero effect on results. What worrying truly affects is my spirit. Because I surrendered my worry about my latest scan results, I experienced a freedom and peace that I haven’t quite felt before. As I awaited the life-changing phone call, my thoughts were on other things. I wasn’t fixated on the possibilities. I wasn’t anxious. I wasn’t fearful. I was confident in the One I surrendered to, knowing His plans are always far greater than my own. No matter if cancer had returned once more or if I was officially rid of this beast, I wasn’t concerned. I had the kind of peace that passes all understanding, and a freedom birthed from my surrender. Worrying will never change the circumstance. Worrying will only affect our spirit. I’m thankful that my spirit was guarded, for it allowed me to better appreciate the results I received last week. I can happily share that I am cancer-FREE! Had I chosen to worry, my joy might have been robbed in the moment I heard the wonderful news. 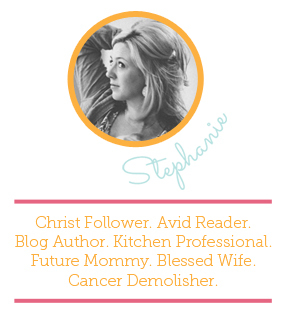 Surrendering is difficult for this “I’ve got life all figured out” chick, but it’s so worth it. Freedom feels good. Worry, why should I care?